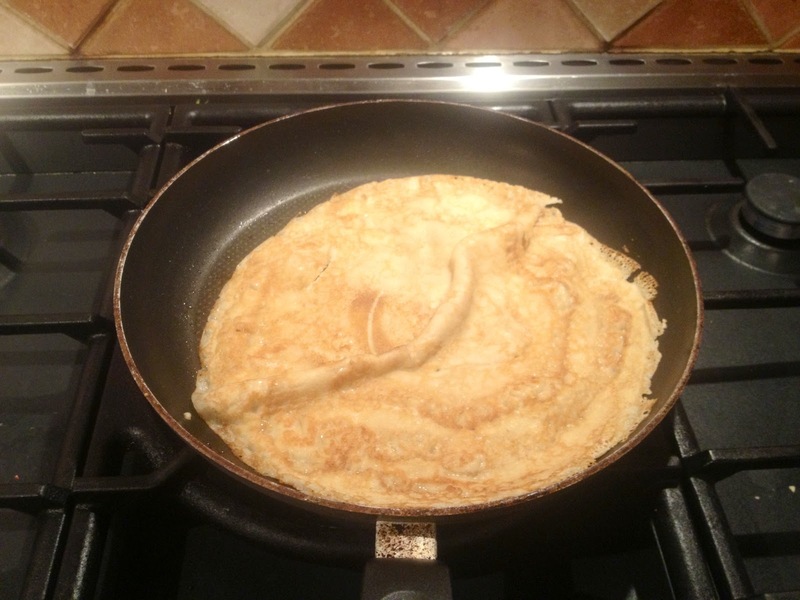 Happy Pancake Day everybody!!!! I know I’m a bit late to jump on the bandwagon today but I had to work late and my pancakes were a very rushed affair, so it’s good job they’re so quick and easy to make! You’ve probably all made and demolished all your pancakes by now, but there’s no reason you can’t keep this recipe to have pancakes any other day. I had hoped to do something a bit more creative with the filling, but since it was late and no one else was home, I went for my favourite, lemon and sugar. I’ve left out measurements (mainly because I just guessed as I went along) but also because it’ll vary massively the quantity you all want to make, so try and use your good judgement and keep an eye on the texture. If it’s turning out too thick, keep adding milk, or if it’s gone a bit runny, add a little more flour. 1. 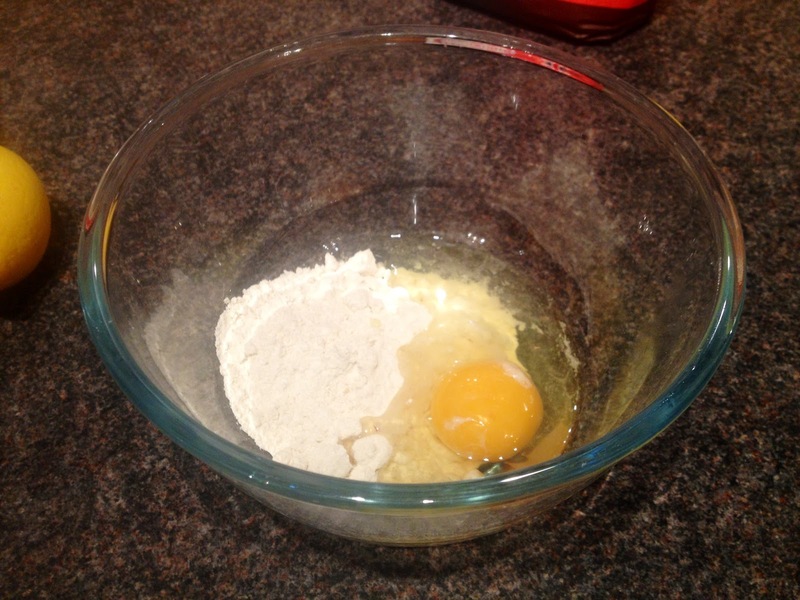 Crack the egg into the flour in a bowl. 2. 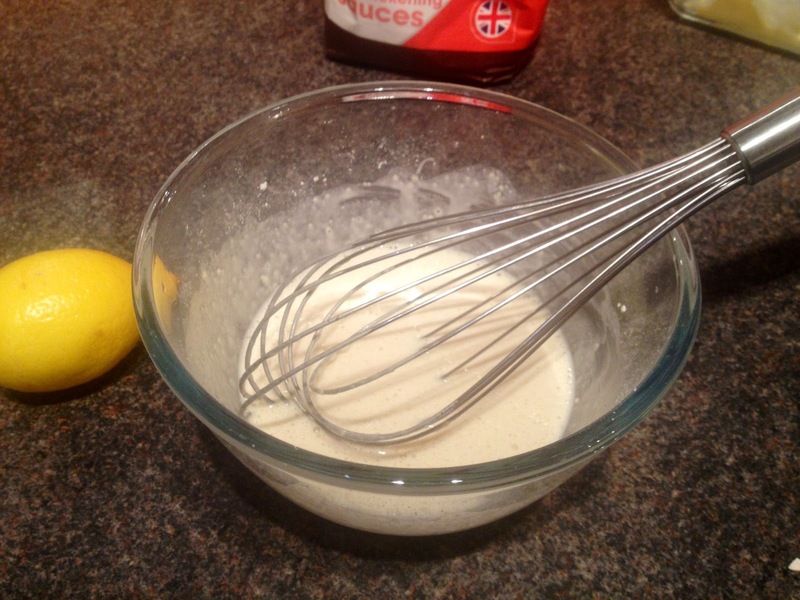 Whisk together, this will be quite gloopy and look lumpy, but be patient it’ll smooth out when you add the milk. 3. Pour in the milk a small amount at a time, whisking as you go, until you get a smooth, runny (but not too watery) batter. 4. 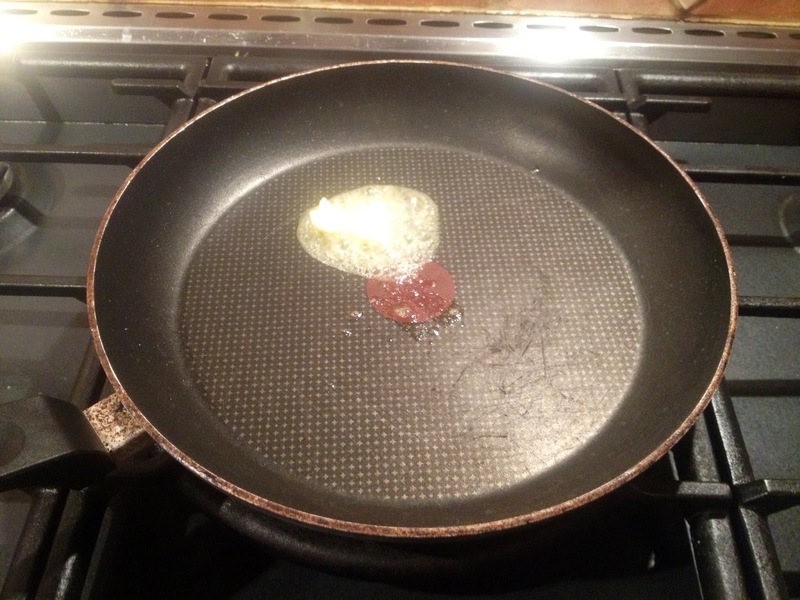 Melt a knob of butter in a frying pan, ensure it spreads and covers the whole surface. 5. Spoon in the pancake mixture, moving it around the pan until you’ve got a thin coating. 6. 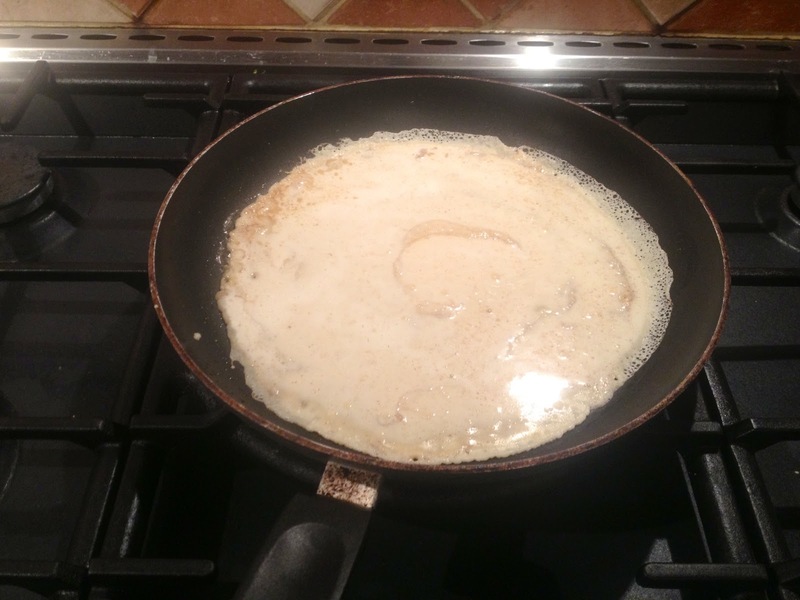 Allow to fry for minute or two until golden underneath and the pancake lifts easily from the pan and flip. 7. Allow to fry on the other side for further minute and you’re ready to serve. 8. Serve folded on a plate and sprinkle generously with sugar and a squeeze of lemon. 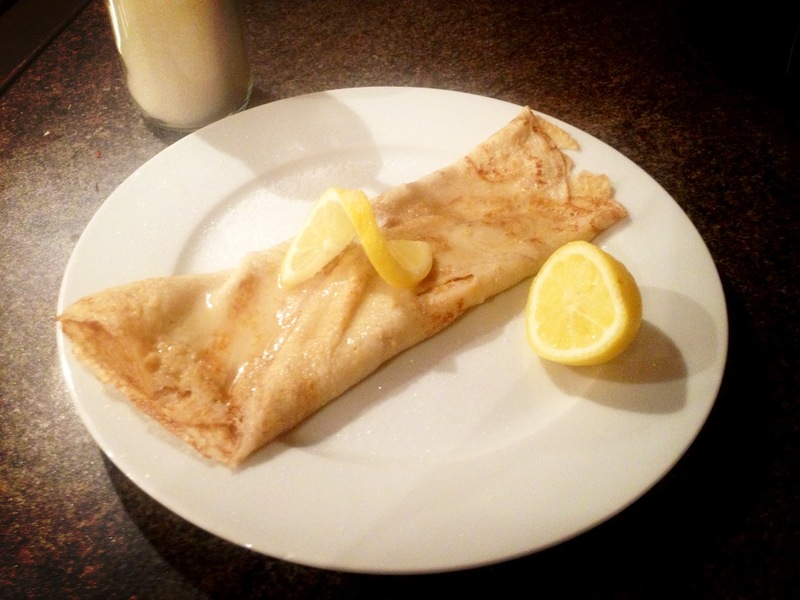 One of the great things about pancakes is that you’ve probably got all the ingredients in the cupboard already, especially if you’re just opting for lemon and sugar. You could also try jam or a scoop of ice cream, I’ll try and do a more exciting fancy topping soon though. 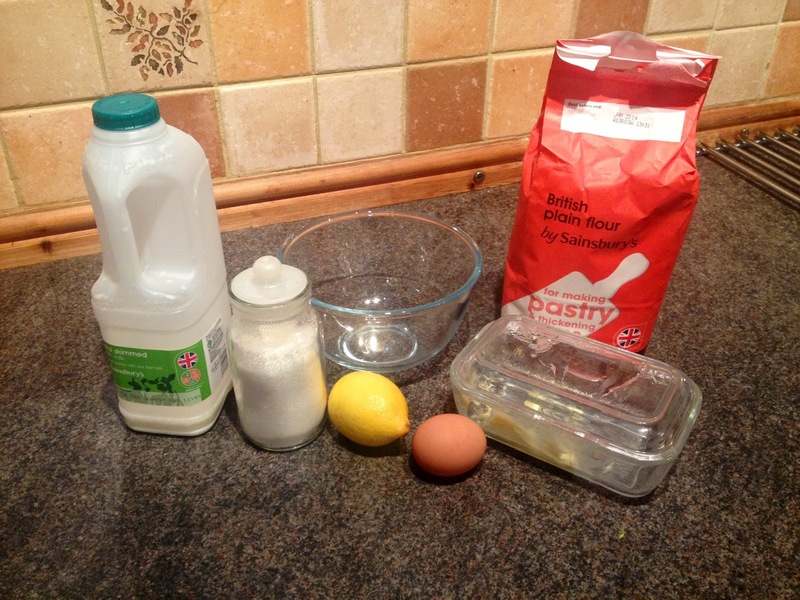 I’d love to see how your pancakes turn out, send me pics and let me know what toppings you have on yours! See my facebook page for photos others have posted of their creations.